Optimum Online, an Altice network, is also known as Cablevision and offers mass market broadband services. Altice services 4.9 million residential and business customers throughout 21 states, but the company’s presence is mostly in the New York tri-state area along with some Midwestern and Southern states. 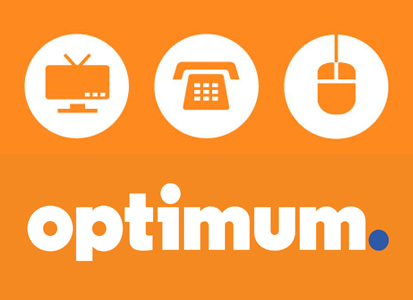 Optimum: an Internet provider in the Eastern United States. Image copyright Optimum. With growing concerns about bandwidth throttling and data usage in the current debates on Net Neutrality, here are the current policies Optimum enforces and what their stances are regarding Internet content. Per the company’s open Internet disclosure required by the FCC, Optimum enforces an excessive use policy on subscribers that limits data consumption which inhibits other users’ network usage. Users can get their connections severed for putting strain on the network using peer-to-peer applications like BitTorrent and performing FTP transfers of numerous and/or incredibly large files. Subscribers receive a fixed amount of bandwidth for peer-to-peer uploads during peak periods. In scenarios without excessive bandwidth consumption, no data capping happens. Optimum’s parent company Altice doesn’t specifically block users from viewing content that is lawful. However, their network management policies expressly prohibit unlawful activity such as transferring ransomware or viruses. As far as connection speed, Optimum appeals to users who want to upgrade from DSL, but choose not to spend on fiber Internet service. The ISP offers service packages that vary by region, along with different tiers offering speeds appropriate for real-time applications. Their flat rate pricing includes prices directly tied to connection speed. Subscribers receive cable modems able to handle their chosen service tier. While Optimum hasn’t confirmed whether they were throttling certain types of content (such as Netflix and YouTube), some users reported problems with content streaming websites. Optimum doesn’t specifically have a policy surrounding throttling, as their disclosure statement states that performance varies by device, cable modem, and high Internet traffic. User reports of throttling on specific sites possibly are linked to the company’s traffic shaping based on predictions on how much traffic certain sites are receiving. In light of the recent debates on Net Neutrality, at the time of this writing Optimum hasn’t made any comments on plans to switch to usage-based billing, or breaking up services to be sold in bundles as opposed to a unified subscription rate.